Scooting down the freeway, Geelong-bound, I am almost giggling with the joy of it. This is quite different from the sometimes frenetic trips that until so very recently saw me making this journey for work purposes. 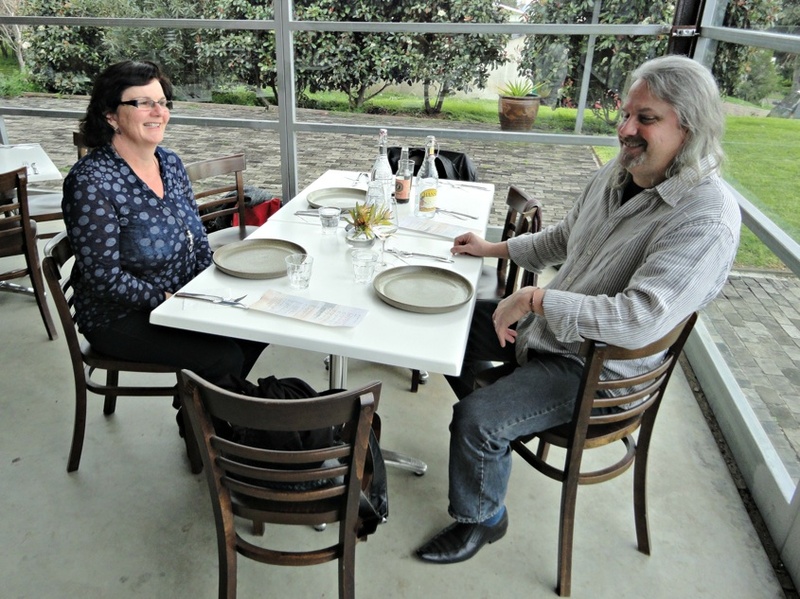 Because we are not headed specifically for that city, but through it instead for a lunch date on the Bellarine Peninsula. 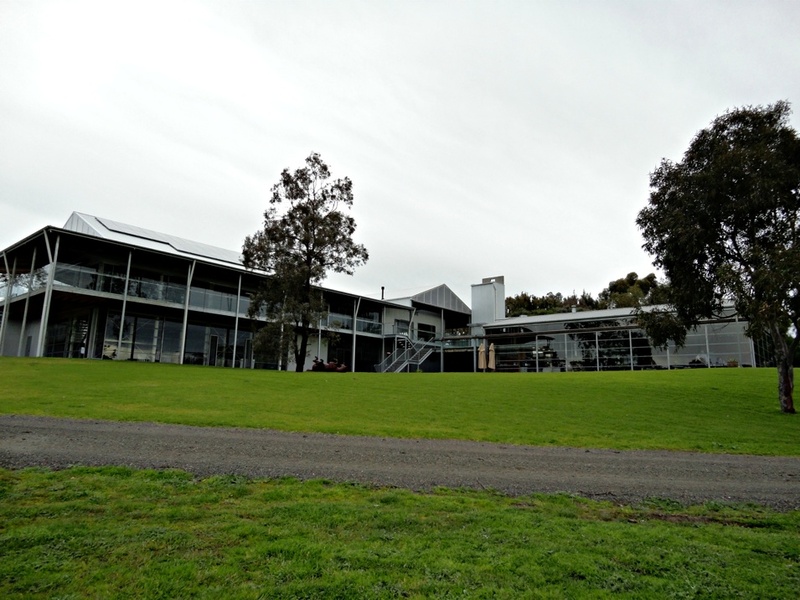 I’ve roped in Brother Kurt for the experience and we’ll be meeting my pal and former Geelong Advertiser colleague Jane at Terindah Estate. The catering, food and function aspects of the property have recently been assumed by Rue Cler Market, and it is as that outfit’s guests that we will be having lunch (full disclosure below). Kurt and I are so busy playing catch-ups that carefully selected CD choices barely register and in what seems like mere minutes we are trundling down bumpy, rustic McAdams Lane, turning right into the grounds of Terindah Estate instead of left into Jack Rabbit Winery. 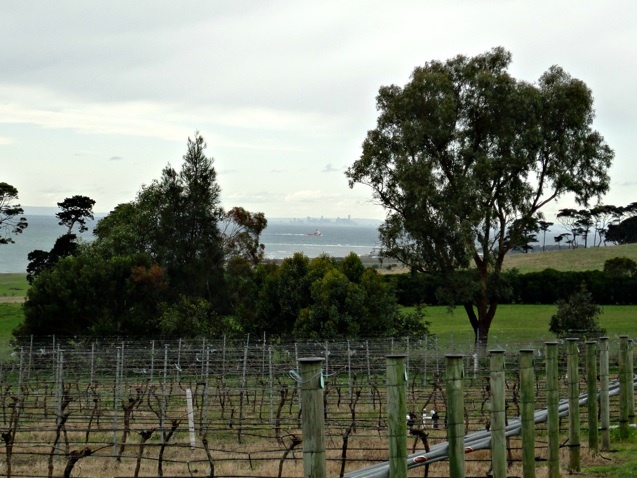 Unsurprisingly, the place is beautiful, the centre’s buildings looking out on vines and fields rolling gently down to the bay, the Melbourne CBD skyline visible on one side of the panorama, the You Yangs peeking through the trees on the other. The place undeniably has an air of new business arrangements being bedded down. So much so, we wonder if these folks have been a bit hasty in inviting a blogger and his mates down for a feed, especially when we lay eyes on the very succinct blackboard men. Happily, our lunch more than makes up for menu brevity with class and quality. We three make ourselves at home in a corner table of the vast, bright and airy dining area before mulling our lunch choices as sourdough, focaccia and olive oil are placed before us. 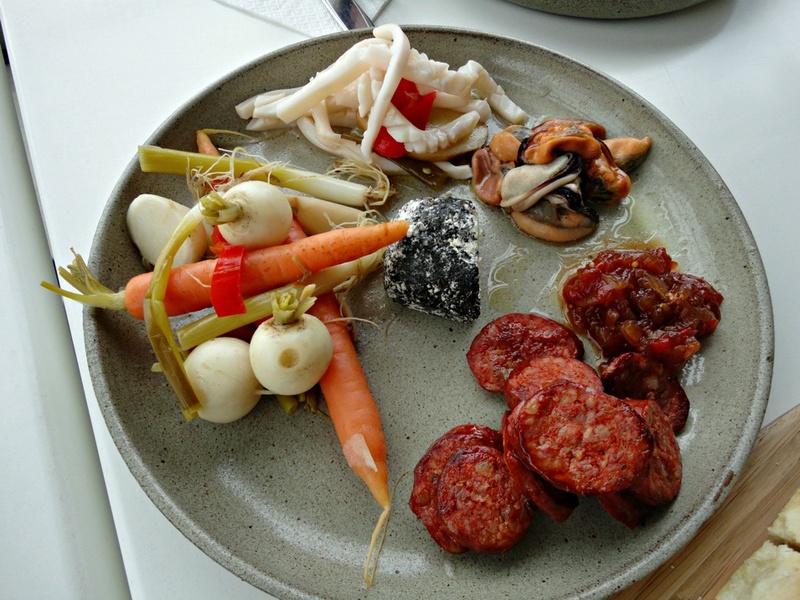 Our first foray into Shed tucker is a sublime delight and triumph – the produce plate is not your typical antipasto platter. That they sell it for $14 makes it a preposterous bargain. 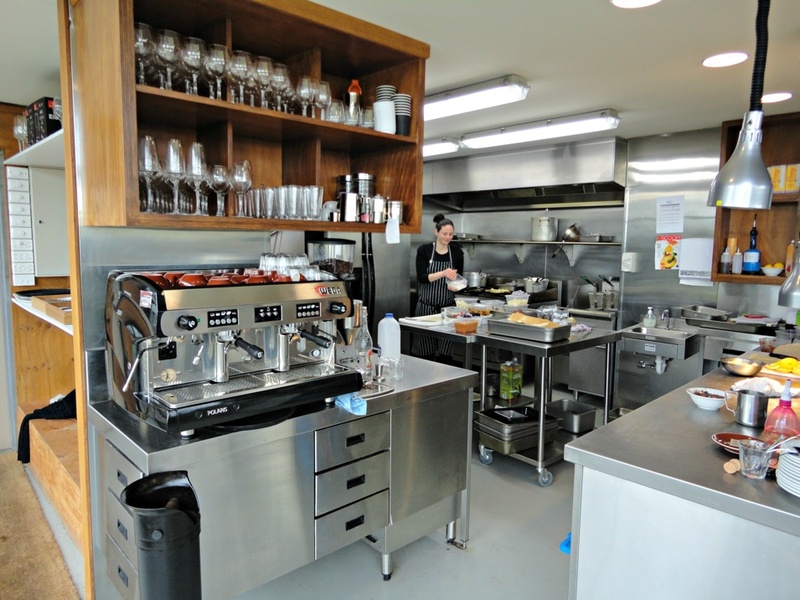 Its contents are all locally sourced, fresh as can be and uniformly superb. Smoky, tangy discs of Otways chorizo. Baby vegetables – spring onions, carrots, turnips – that manage the lovely trick of being both profoundly and lightly pickled, meaning the original flavour of the vegetables can be enjoyed. Calamari strips, supremely unchewy and tender, and equally skillfully pickled. 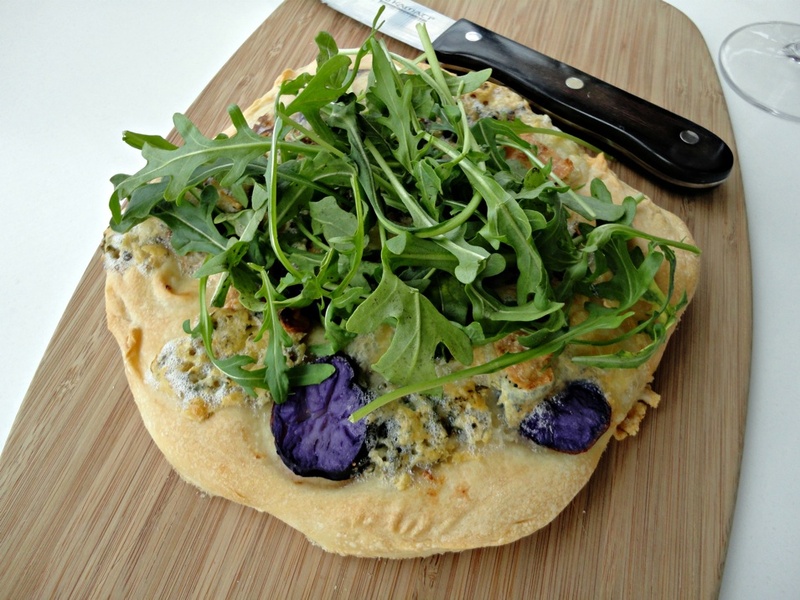 As we await our main course, unbidden we are presented with a lovely blue cheese and potato pizza ($14). This simple affair goes a long way toward blunting my cynicism about the cost/benefits of thin-crust Italian-style pizzas. Blue cheese very flavoursome but not overbearing, slices of purple congo spud evincing real potato taste, base not particularly thin but fresh, crusty and easy on the fang. 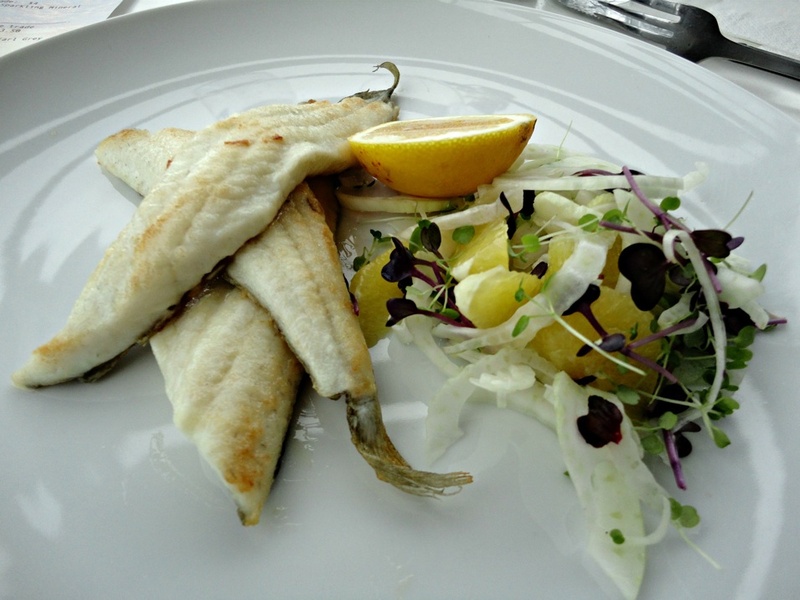 Kurt and I both choose the bay whiting with fennel salad ($22). The fish is delicate of texture and taste, and very good. The whiting works well with the fennel, but I am less convinced about the somewhat strident addition of grapefruit segments. It’s a very spartan meal – another element or some more obvious salad dressing would’ve been welcome. 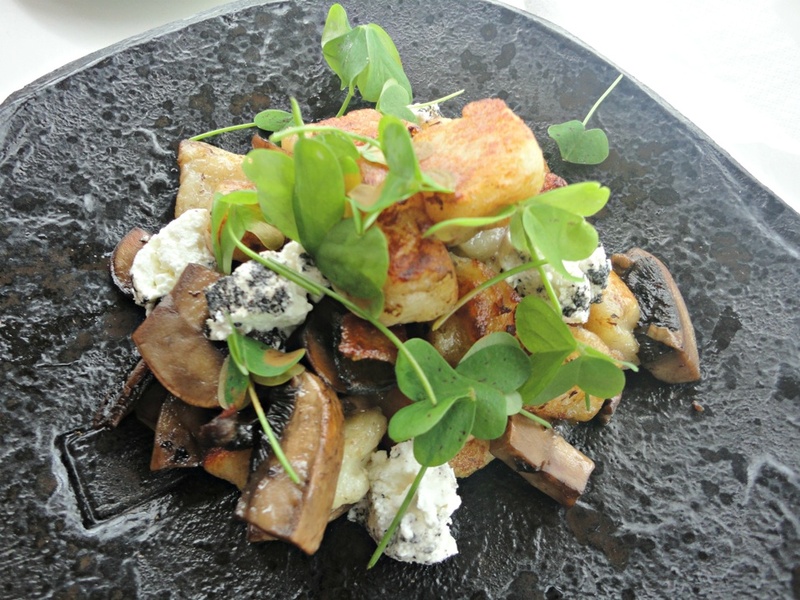 Jane likes her mushroom gnocchi ($18) – they’re roly poly, tanned and slightly crispy on the exterior, almost molten inside, and the way is smoothed with more of the chevre that graced our entree plate. Kurt gleefully works his way through much of the wine list – he expresses fondness most of all for the chardonnay – with details provided by property owner Peter Slattery. Jane enjoys her sticky date pudding ($6). By this point, I’m fully full, so opt out of the dessert stakes – but I do nick a spoonful, just for review purposes. 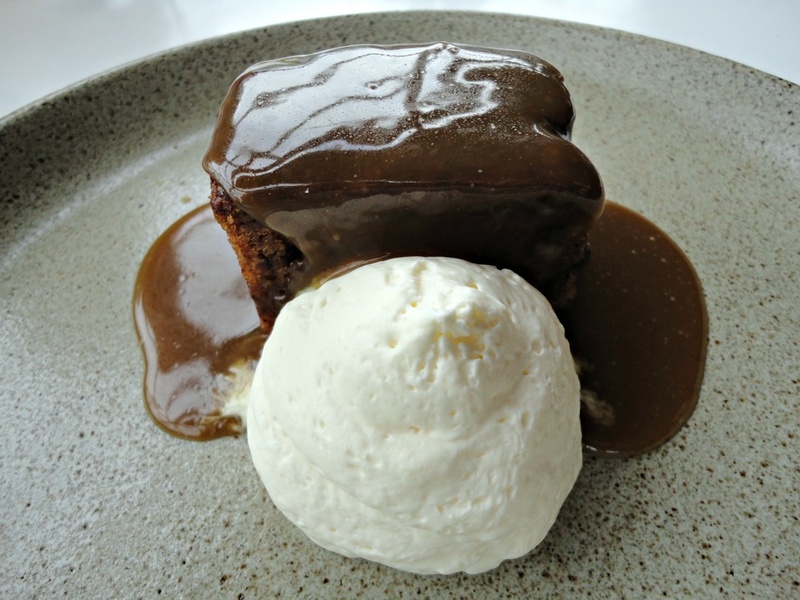 The pudding is light and fresh, and the sauce is, well, super sticky. 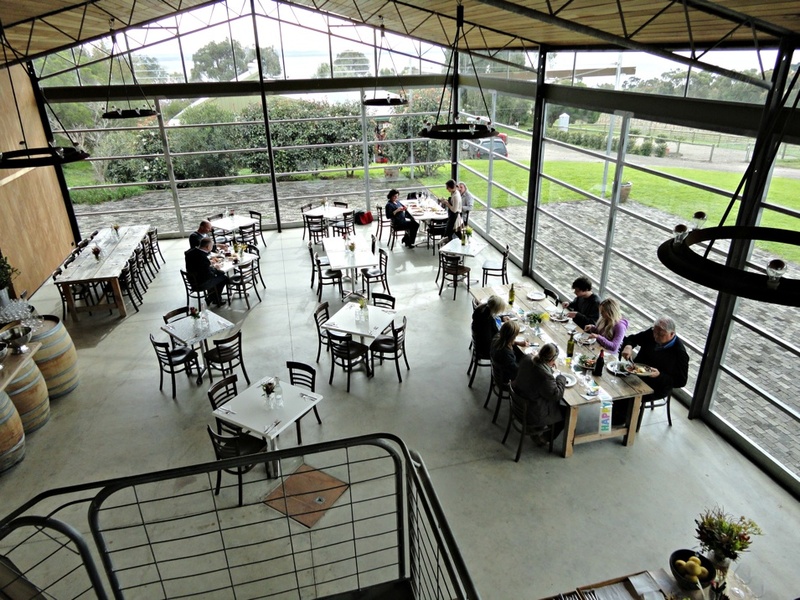 The Shed @ Terindah Estate shapes as a handy, relaxing and affordable option in the fiercely competitive Bellarine winery scene. The September 2 Father’s Day deal – $40 for adults, $10 for kids – looks like a great deal, for instance. Check out the Terindah Facebook page for details. And certainly, I’d return in a heartbeat for another shot at the terrific $14 produce platter. It’s been a hoot to catch up on the goss with Jane, but she’s off on other business. Kurt’s happy to kick back, enjoy the moment and talk with the staff. After a good cafe latte, I go for a ramble around the grounds, even making it right down to the bay beach. 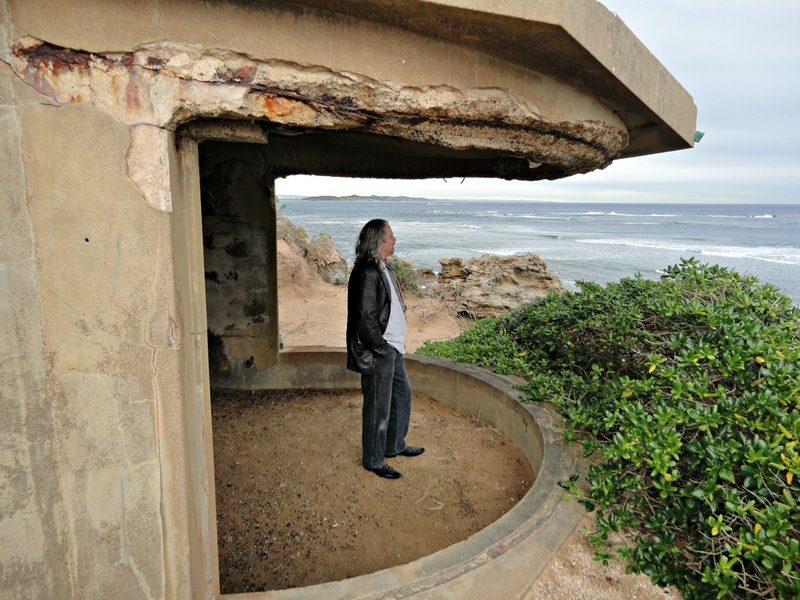 Eventually, to the strains of the Flying Burrito Brothers’ classic third album, we zip across the peninsula to Point Lonsdale, where we dwell for a while watching a ship enter through the heads and seals frolicking in the surf. After swinging through Ocean Grove, we head home with some raunchy, classic and wisecracking southern soul from Joe Tex for company. What a cracking day we’ve had – thanks to all concerned! 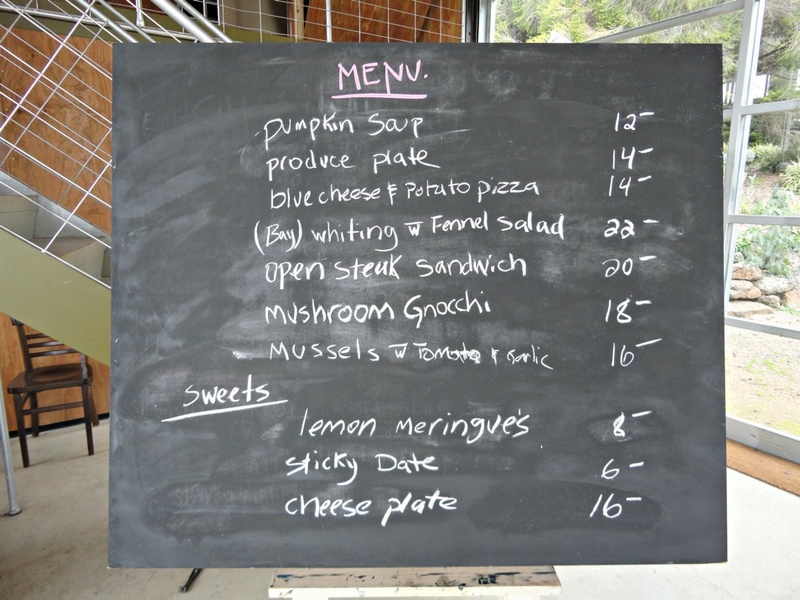 Our meal at The Shed @ Terindah Estate was provided free of charge by the owner in return for a story on Consider The Sauce. With the exception of pizza noted above, neither staff nor management knew what we were going to order. 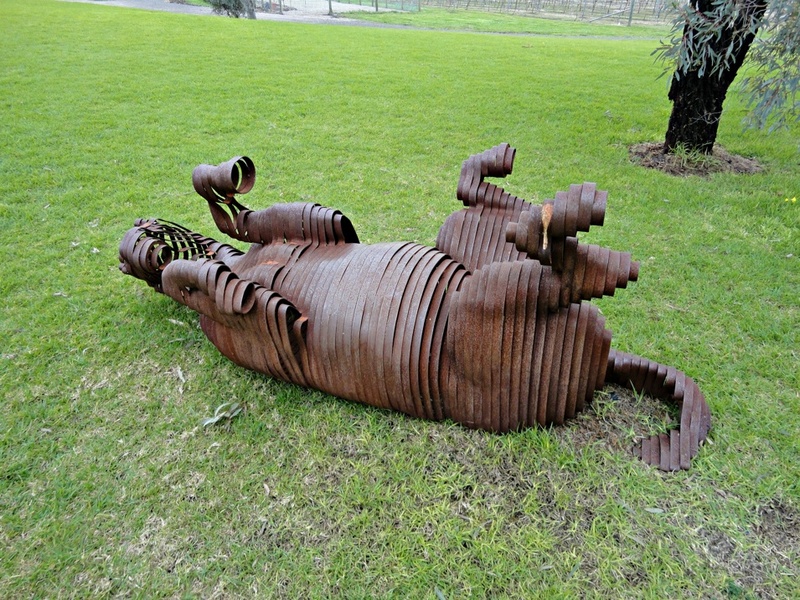 The Shed @ Terindah Estate has not been given any editorial control of this post.